Catch everything from 'Ocean's 8' and 'Mary Poppins Returns' to the 'Halloween' and 'A Star Is Born' reboots. A plethora of at-home entertainment options have cut into moviegoing time for many audiences, but it’s still tough to beat the theatrical experience, especially with more options than ever in the Capital District. So saratoga living has sorted through the current 2018 release schedule and recommended not just what you might want to see, but where you might want to see it. Remember: release dates are always subject to change (and happy additions), so consult local listings before heading out to the theater. 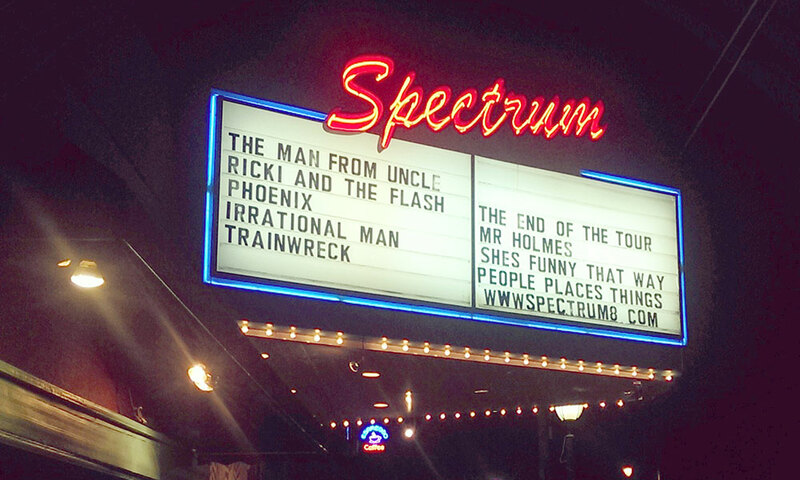 The reliable and conveniently located downtown theater (so many ice cream options nearby!) plays both mainstream would-be blockbusters and limited-release movies as they expand. Look, if you’re in for the third and final installment of the Fifty Shades of Grey trilogy, you’re probably going to want to see it someplace where it’s easy to have a glass of wine or three before walking over to the theater. (We suggest the Wine Bar on Broadway.) Just be thankful this is one book series that hasn’t been split up and stretched into four movies—torture even Christian Grey would not sign off on. Alex Garland made the excellent Ex Machina, and he’s back with a new, equally mysterious sci-fi picture starring Natalie Portman. Steven Soderbergh (Erin Brockovich, Ocean’s Eleven) is back making movies after a hiatus, and he shot this one—some kind of horror thriller—entirely on an iPhone. There’s no one more trustworthy in cinematic experimentation. In a riff on Soderbergh’s Ocean’s movies, A-list actresses assemble for a heist. 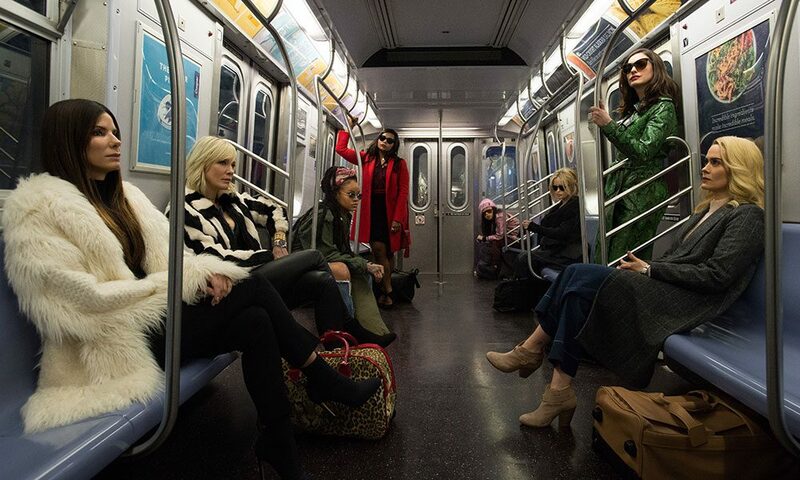 Sandra Bullock, Cate Blanchett, Anne Hathaway, Helena Bonham Carter, Rihanna and Mindy Kaling all co-star. Hollywood still has major work to do in the diversity and inclusivity departments, which means this adaptation of Kevin Kwan’s bestseller is still a rarity: a big studio movie with a cast that’s almost entirely Asian and Asian-American. The newest version of this thrice-made musical, now starring pop star Lady Gaga and directed by actor Bradley Cooper, sounds fresh. A decades-later sequel to the beloved Disney classic might seem like an iffy idea, but the cast includes Lin-Manuel Miranda of Hamilton fame alongside Emily Blunt, who takes over Poppins’ duties. Not every studio-wide release will be playing downtown; some thrillers and broad comedies are more Wilton Mall fodder. John Carpenter’s classic gets revisited once again—but this time with superfans (and eclectic, accomplished filmmakers) David Gordon Green and Danny McBride behind the cameras. This comes out over Thanksgiving, so if you’re taking the kids out for Black Friday, seek respite through a sequel to one of Disney’s recent best. Will Ferrell and John C. Reilly mark their third proper collaboration after Talladega Nights and Step Brothers as the detecting duo. Ferrell has big shoes to fill, following the likes of Basil Rathbone, Jeremy Brett, Benedict Cumberbatch and Robert Downey Jr. as Holmes. Even though it’s only open from April through September, the Malta Drive-In—about a 10-minute drive from downtown Saratoga—is still going strong, showing digitally projected double features on two screens. It’s a big-ticket summer blockbuster, but aren’t all Jurassic Park sequels B-movies at heart? These two are coming out close together, so hope for a monster movie double feature: Shane Black’s revival of the iconic alien hunter, alongside Jason Statham finding a worthy opponent in the form of a gigantic shark. The area’s best all-out arthouse theater often gets limited-release movies before other upstate locations. Wes Anderson’s movies usually roll out slowly, so his latest stop-motion animation project with an all-star cast (including Edward Norton, Scarlett Johansson, Frances McDormand and Bill Murray, naturally) should hit the Spectrum first. Fresh from his Best Director Oscar win for La La Land, Damien Chazelle returns with a Neil Armstrong biopic starring La La leading man Ryan Gosling. A quartet of widows resurrect their husbands’ heist plans in the new film from 12 Years a Slave’s Steve McQueen (no, not the Great Escape guy). 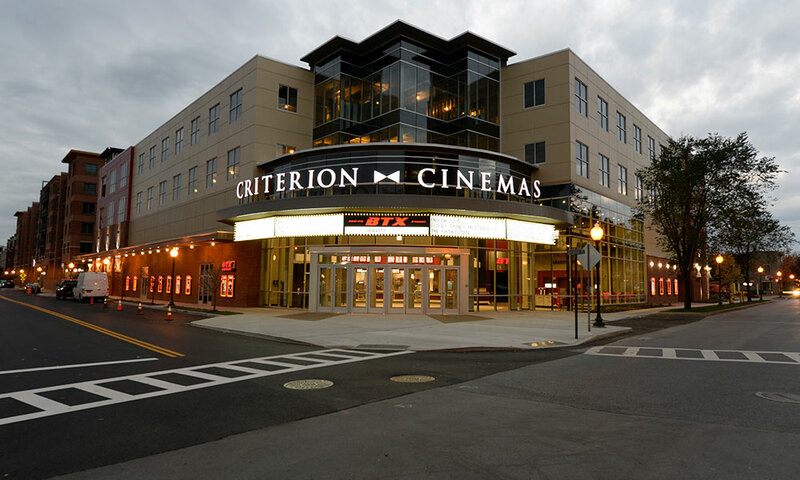 The screens at the relatively new Clifton Park Regal are some of the biggest in the area (along with the Regal outposts at Colonie Center and Crossgates Mall in Albany). There are at least seven other superhero movies coming out this year, but only one boasts a nearly all–African-American cast and the mega-talented Ryan Coogler (Creed) behind the camera. Ava DuVernay (Selma) makes the leap into blockbuster territory with this trippy looking adaptation of the beloved kid-lit fantasy. Fox goes all-in on X-Men movies this year, with a sequel to the irreverent mega-hit Deadpool, and a retelling of one of comics’ most famous storylines. For continuity’s sake, why not see them on the same big screen? Just months after his journalism drama The Post, Steven Spielberg returns to sci-fi and goes meta, adapting a novel that’s heavy with references to a number of ’80s movies that he himself either produced or directed. Hopefully he won’t wind up eating his own tail. So-named, apparently, because “infinity” is the closest approximation to the number of Marvel heroes who appear in this thing: Iron Man, Captain America, Spider-Man, Black Widow, Hulk, Thor, Non-Baby Groot, Ant-Man and some characters previously relegated to mid-credits scenes. Star Wars returns to the summer season with this Ron Howard–directed production exploring Han Solo in his younger years, who’ll be played by Hail, Caesar’s Alden Ehrenreich. One of cinema’s best superhero teams didn’t originate from a comic book, but rather the brain of Pixar’s Brad Bird. The superpowered family returns for a long-awaited sequel. It was bound to happen: Tom Cruise broke his ankle doing a crazy stunt for a Mission: Impossible movie. Don’t you want to see how? The Justice League standout returns for his solo movie, the big-ticket holiday 2018 attraction for a Star Wars–less Christmas. Jeremy Saulnier made the white-knuckle thriller Green Room, which makes his wolf-ridden wilderness story an automatic must-see. The director of the bone-crunching Raid movies returns with an English-language production, following a man attempting to rescue his sister from a mysterious cult. The new Coen Brothers project has been kept under wraps, even including what kind of project it is: This six-part “western anthology” will have some kind of hybrid release that resembles television while also including some kind of theatrical engagements. But Netflix financing means it will be most accessible at home.